Reading Rebecca Mead’s part-memoir, part biography of Mary Anne Evans (1819-1880), better known by her nom de plume George Eliot, was an exercise in confronting the familiar. Even on the surface there is much in Mead’s life that resembles my own. We’re both British transplants, brought up in small towns, but now living in Brooklyn. We both studied English at Oxford. 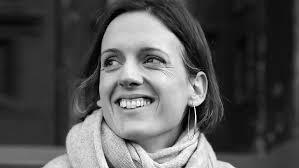 And we share a love for Eliot’s novel Middlemarch (1871-2), which Virginia Woolf called, famously, ‘one of the few English novels written for grown-up people’. 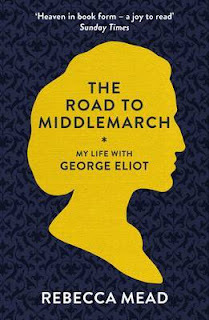 My Life in Middlemarch weaves together Eliot and Mead’s life stories with the latter’s reflections on the novel and details of her journalistic research. This too was recognisable to me. As a writer of historical fiction, I’ve also gone on pilgrimages to find traces of history below the surface of modern English life. Mead’s emotions as she traverses streets Eliot would have walked and takes tea in rooms she frequented were relatable, tinged as her descriptions are with the complex feelings of the emigrant for the land she’s left behind. But the familiarity I found most difficult to confront is the topic at the memoir’s core. When we find a book we love it can be easy to feel that it is written for us, and only us. We construct an imaginary conversation with its creator that can overcome decades, oceans and even death. Mead’s reaction to Middlemarch, and the very publication of her memoir, is a testament to the fact that our responses to great works of literature are not unique. This is a fitting revelation for a book centred on Middlemarch, a novel which also makes us face the truth that we are not special and that other lives as passionately lived as ours end with graves that go ‘unvisited’. I’d recommend My Life in Middlemarch to anyone who’s read and loved George Eliot, but also to those who’ve read her books and wondered what they were missing and what others see to admire so deeply. For those uninitiated into Middlemarch it may be a more perplexing read, but who knows—sometimes a date with the unknown is even more compelling than the familiar. What book would you like to see the Secret Victorianist read and review next? Let me know—here, on Facebook, or by tweeting @SVictorianist.